Edited by Hesam Dehghani . Determining the expression of a given protein in specific cells, tissues, or distinct phases of cell cycle complemented by knowledge of its intracellular localization provides essential information pertinent to the biological function of the protein. Immunocytochemistry has been an invaluable tool in revealing this information. 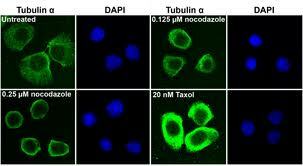 Using specific antibodies targeted to specific antigens in situ (fixed and lastingly localized in native intracellular locations), immunocytochemistry not only reveals whether a protein is expressed in a cell or a group of cells, but also discloses its intracellular localization. This technique has been employed many times in a vast array of cell biology experiments. Thus, it has experienced small modifications in different applications. This book is devoted to this technique, its application in different cellular contexts, and its adaptations. Applications of Immunocytochemistry is a collection of writings from experts in different fields of biology, organized in 14 chapters, each introducing a distinct cellular context for the application of immunocytochemistry. In addition, some of the chapters include specific technical and background information on different steps of immunocytochemistry. A table of technical contents has been included to help the reader in finding this technical information. I would like to express my sincere gratitude to the fine contribution of the authors. I also would like to thank Mrs Ana Skalamera, the Publishing Process Manager of this book, for her constant help and guidance. I hope that this book will be of great interest and use to researchers in all areas of cell biology.